The Supreme Court, in a plea by the Telangana Judges’ Association has directed the Centre to prepare draft guidelines in consultation with High Court on allocation of Judges. That each of the States shall make an assessment of the required strength of the respective cadres of judicial officers with reference to the appointed day, (that is, 2nd June, 2014) in consultation with the High Court and frame rules or create appropriate legal regime fixing the strength of respective cadres of both the states. Such an exercise shall be concluded within a period of four weeks from today (28.4.2017). After the strength of cadre is so determined, the exercise regarding allotment of officers in different cadres of the judicial service recruited under the relevant rules of the existing State of Andhra Pradesh is to be undertaken in accordance with certain guidelines. The high court had issued certain guidelines in this regard. The Supreme Court observed that the Telanagana Judges Association as well as the State of Telangana, have certain suggestions with respect to the above mentioned guidelines. The guidelines as framed by the existing High Court are not agreeable to them. While they do not totally reject the guidelines, they seek certain modifications to the guidelines. After some discussion, all the learned counsel appearing for the various parties in these matters on instructions stated that if Supreme Court were to settle the guidelines after examination, they would not press for the determination of the various legal questions raised in these two matters. The bench directed the Union government shall thereafter examine the various suggestions made by anyone of the above mentioned bodies and prepare the draft guidelines in consultation with the existing High Court on or before the 17th of June, 2017 and place the draft guidelines before the Court on the next date of hearing for appropriate further orders. The court also permitted the State of Telangana to frame fresh rules dealing with various service conditions of the judicial officers the state for consideration of the existing high court. 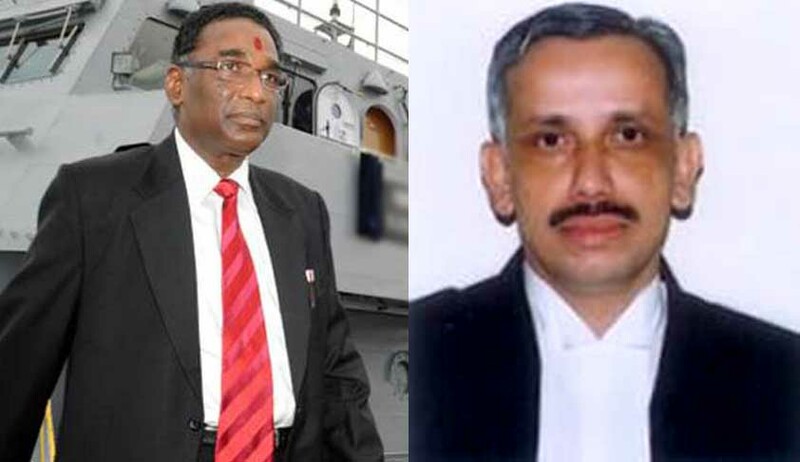 There were large-scale protests from Telengana judges when the high court released the provisional list of judges being allotted to AP and Telangana, who alleged that the court deviated from the guidelines of the AP Reorganization Act.